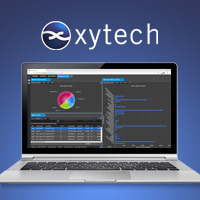 Las Vegas, March 26, 2019 — Xytech, the leader in facility management software for the broadcast, studio, media services and video transmission industries, will launch the 2019 version of its MediaPulse facility management software system at booth SL4705 during the 2019 NAB Show from April 8–11 in Las Vegas. In addition to the user experience upgrade, OpenID is supported through Sky and the entire platform has now moved to a 64-bit architecture. Automated IMF distribution functionality, European Working Time Directive support, transmission module updates in addition to hundreds of new features are now available. The 2019 version of MediaPulse is available in June 2019. Xytech will be exhibiting at the upcoming 2019 NAB Show from April 8-11, 2019. Located in booth SL4705, Xytech will demonstrate the new features of its leading facilities management software MediaPulse. Those interested in scheduling an appointment may contact Alexandra Kuipers at akuipers@xytechsystems.com, +1(818)698-4958.